“A Boosted Tree framework for runway occupancy and exit prediction“, as the first paper, uses ML to better predict runway occupancy times therefore reducing safety buffers and increasing capacity. It will be presented at the last slot on Tuesday morning, starting at 12:25 in the Karajan Hall. “Smart Data Fusion: Probabilistic Record Linkage adapted to merge two trajectories from different sources“, our second paper, extends the classic SQL-join merging to probabilistic linkage on de-identified datasets. It will be presented at the first slot after lunch on Tuesday, starting at 14:00 in the Karajan Hall. “A multi-layer model for long-term KPI alignment forecasts“, as the third paper, is coauthored with the University of Westminster and describes the final outcomes of the Vista project. It will be presented on Thursday 12:05 at the Wolf‐Dietrich Hall. 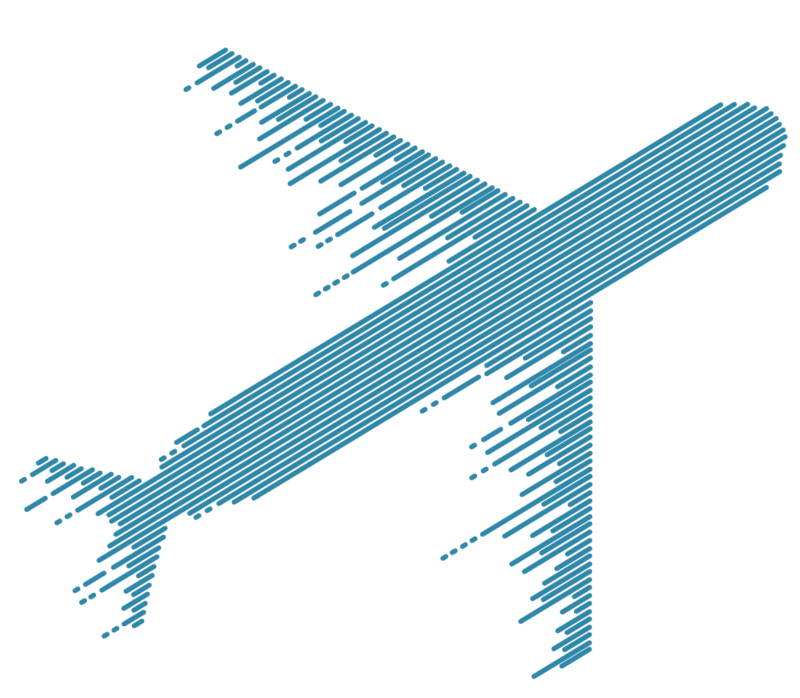 Finally, Innaxis has liaised with Tadorea and the Fraunhofer institute to present the “Technical exhibit and demonstration of DataBeacon: The Secure AI Multi-Sided Platform for Aviation“. There will be live demos and f2f presentations of the DataBeacon platform. You can see how the system performs every day at the Poster and Exhibits hall (first floor). We will also be part of the SIDs on behalf of the Engage consortium: the Engage network session will take place on Tuesday at 10.00 and the Engage posters will be displayed at the Salzburg Congress Centre all week (official opening on Monday at 17.30). 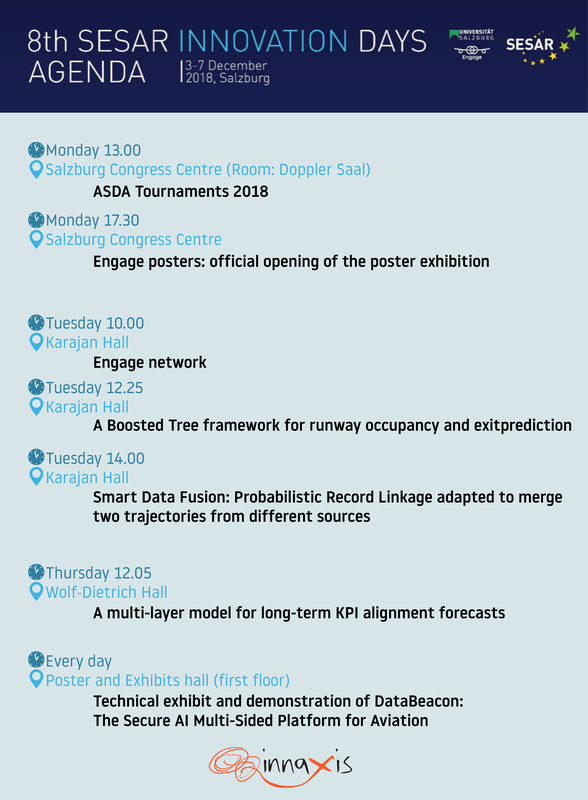 On Day 0, we will be participating on the ASDA Tournament on Air-passenger-centred transport in the line of our DATASET2050 and CAMERA mobility projects (Monday at 13.00). We hope to see you all there at the SIDs, if you are interested in meeting just drop us a line at innovation@innaxis.org.